Scientists have found a shark that would have been about the size of a Great White Shark. 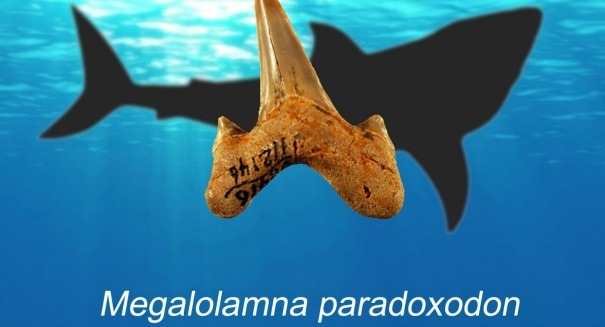 Scientists have made a huge discovery based on an analysis of ancient shark teeth from around the globe: a new extinct species of giant shark they are calling Megalolamna paradoxodon. The findings were described in the journal Historical Biology. This new species comes from a family of extinct sharks named Otodontidae, which includes the megalodon. Megalolamna paradoxodon’s teeth are similar to other Otodontidae species but also look at lot like those from a modern salmon shark, according to a statement from DePaul University. Scientists created an entirely new genus based on these findings called Megalolamna. Its teeth measures about 1.8 inches in length, meaning that the shark was probably about the size of a modern great white shark at 13 feet long. It would have had grasping teeth in the front, and the teeth in the back would have been for slicing. The shark likely lived during the Miocene epoch about 20 million years ago. The discovery also allowed scientists to do a bit of shuffling when it comes to shark family trees. They moved the megalodon and its relatives from the Carcharocles genus and into Otodus.